Bates Well is the site of a former cattle ranch within the boundaries of the Organ Pipe Cactus National Monument and a stop along the historic El Camino del Diablo. Today, Bates well stands as a testament to ranching and mining life in the early 1900s in the southwestern portion of Arizona. To get to Bates Well, take El Camino del Diablo approximately 15 miles south from Ajo. This is a fee area for the national monument and you can pay your fee on the way in at a self-pay kiosk at the entrance to the monument. The area surrounding Bates well has long been used by both Native American dwellers and Spanish explorers from Mexico. The buildings that remain today reflect the more contemporary use of the area. In 1896 a man by the name of W.B. Bates was settling in the area and dug a well on site at the present day Bates Well Ranch. The well changed hands several times and was used for water for early settlers and miners who lived and worked the area. The Gray Family, who owned and operated 15 other wells and camps in the area, used the surrounding area for cattle ranching beginning in around 1920. The main cabin at Bates Well. It was built in 1937 and moved from the nearby Growler Mine in 1942. In July of 1935 Henry Gray purchased Bates Well. He quickly incorporated it into his ranching operations, the Gray Partnership, which was a family business. That same year, several buildings including a bunkhouse, blacksmith shop, several windmills, and corrals were built to aid in the ranching operation. They drove cattle through the area for several years. With the establishing of Organ Pipe Cactus National Monument in 1937, Gray and the National Park Service clashed on what constituted proper land use of the area. Because Gray had been using the lands for about 17 years, his ranching operation was grandfathered in to the National Monument which normally prohibits ranching. In 1942 a small cabin was moved from Growler Mine, about 1 mile to the south, to the present day site of Bates Well. The cabin was built at the mine in 1937 and was re-used as the Gray Family home. It still remains standing today at the site of Bates Well. The Gray’s, like other ranching families, often re-used and recycled old buildings for their operations. Henry Gray passed away in 1976. With his death, the Gray Partnership disappeared and the controversial land in which he used for so many years for ranching was given to the National Monument. Today, several old buildings, windmills, and corrals remain at Bates Well. Take a few minutes to check them out and get a unique glimpse at what frontier ranching looked like in a dry, desert region. "Bates Well Ranch." Wikipedia. Wikimedia Foundation, 27 Nov. 2016. Web. 19 Dec. 2016. <https://en.wikipedia.org/wiki/Bates_Well_Ranch>. The University of Arizona in Conjunction with: Desert Southwest / Cooperative Ecosystem Studies Unit (DS/CESU). 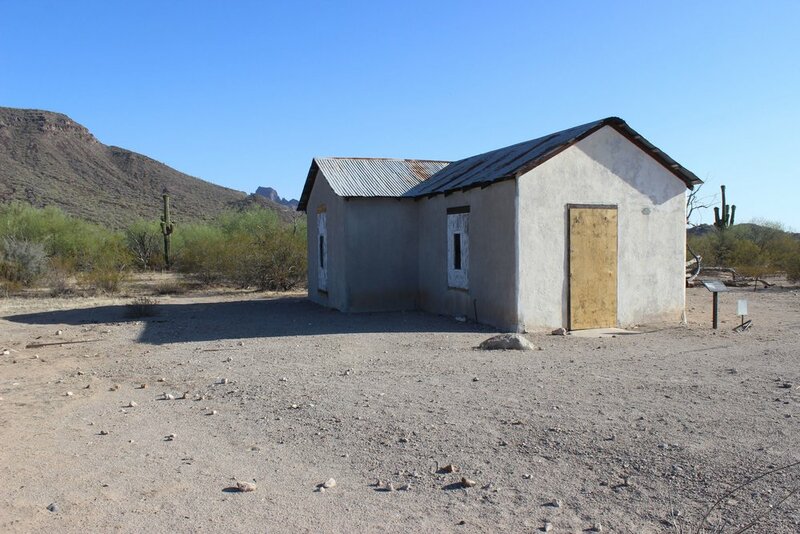 HISTORIC STRUCTURES REPORT: BATES WELL RANCH, ORGAN PIPE CACTUS NATIONAL MONUMENT. Tucson, AZ: University of Arizona, June 2007. PDF. Pages 23-24. <http://sbe.arizona.edu/sites/default/files/projects/ORPI%20Bates%20Well%20HSR.pdf>.